Synopsis: An old acquaintance of Lupin's, an art forger named Gaston, hires him to steal a work from a collector known for hording masterpieces. The painting in question is a fake, as Lupin confirms with a seller named Aghion, but the DGSE are eager to retrieve it. Within the canvas is a ledger that pulls Lupin and Jigen into increasing danger, and a couple of shocking discoveries has Lupin unsettled. It's suspense you can't fake in the next big chapter of Lupin and the gang's antics! As I suspected, the Pink Jacket adventure from last week was a little breather before the next multi-part story arc, and here we have it! It's good to have a little variety, and I'm curious as to what the next one-off episode will be. 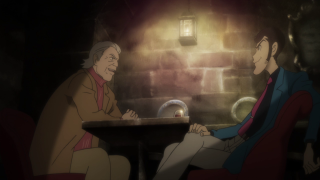 However, at least in this series, I rather prefer the story arcs, and this one seems like it'll be a doozy, as it hints at Lupin's past dealings with this guy, Albert. In Part IV, there was an episode where Lupin was determined to steal the Mona Lisa and replace it with a well done forgery, but there was another copy as well, and there was a whole mix up about which was which, that ultimately ended in Lupin's favor. Little did he know that one of those paintings was actually painted by a cloned Leonardo da Vinci himself, and as the second one was the Isleworth Mona Lisa, all three were from the original Renaissance Man. 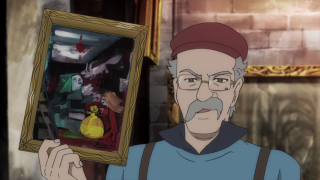 But here, Lupin and Jigen track down a forged Picasso that Lupin's friend Gaston had sold to a collector which seems to garner the attention of men in black. Unlike in Part IV, this painting is definitely not real, but hides a valuable, and deadly secret. There were a few really clever elements in the scheme transpiring here. One was that the painting was intentionally sold to an art hoarder to ensure its easy retrieval later on, with no fear of it being resold. 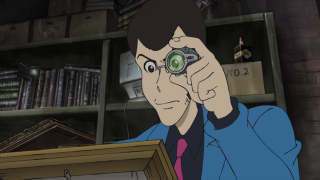 The second was Lupin's plan where he had Jigen pose as him while he waited in that intelligence officer's car to get the skinny on the true purpose of the artwork. What it ended up being was that within the canvas, there was a list of all the dirty dealing and detailed crimes and corruption of the French police, presumably with names, dates, and times. Something worth hiding in plain sight and potentially extremely valuable. French Intelligence, DGSE, was definitely interested in getting the notebook before it could be leaked or used for blackmail, but the guy posed as Gaston had confidence in Lupin's curiosity. 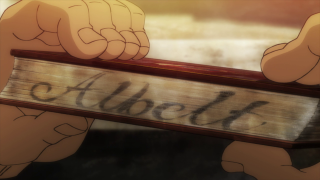 Now, presumably, the guy named Albert, whose hobbies include watchmaking, is the puppeteer in this affair. 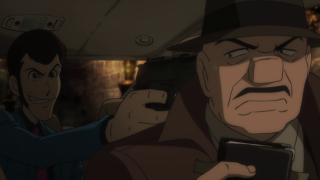 He's described in in official descriptions of this series being in law enforcement and as a figure in Lupin's past. His last name is d'Andrésy, the maiden name of Arsène Lupin's mother. He seems to be the one leading Lupin and Jigen around. But if he's already part of the DGSE effort to obtain the notebook, why did those other agents take on their own initiative to get it? Is Albert possibly playing for his own side in this? 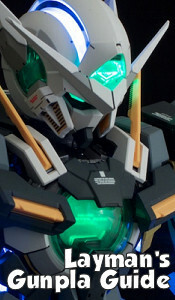 He certainly seems to think of this as an interesting game, and I'll be interested in learning more aout him. 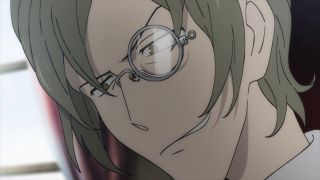 It'll be monocle vs monocle!